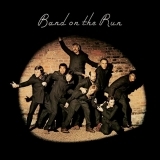 Band On The Run is ranked as the best album by Paul McCartney & Wings. Members who like this album also like: Abbey Road by The Beatles, The Dark Side Of The Moon by Pink Floyd and The Beatles (The White Album) by The Beatles. Related links: top tracks by Paul McCartney & Wingstop tracks of the 1970s, top tracks of 1973. Showing latest 5 ratings for this album. | Show all 750 ratings for this album. Top Tracks: "Bluebird", "Picasso's Last Words", "Nineteen Hundred and Eighty-Five"
Pop perfection, as good as any Beatles album. You can't really complain about the songs being meaningless; it should be expected going into a McCartney solo album. What should always be expected is a great sense of melody and instrumentation, and you get that in abundance here. I mean it's just boring. Apart from the closer which is epic. A great album to put on during a rainy day or whenever you need a pick-me-up. Very joyful compared to the other's solo careers. A superb album with some awesome highlights, but too many mediocre songs to make it a classic imho. Still I love it very much. It's hard for me to say, but I think this is my favorite out of any of the solo Beatles records. I think every song on the album is great and some are just as good (and some are better) than even the best of The Beatles. Paul did an amazing job here. A great album and McCartney's best almost every track is a winner No Words & Picasso's Last Words being the only tracks that are less than 85/100. The rest of the album is fantastic pop music.